Something magical has happened in my house since the night Steve Jobs died – and I’m not talking about the top 40 pop music that’s flowing up the stairs from my husband’s office into mine as I write this, but what he’s doing while listening to it. My husband, John, has always been a creative-type. By day and trade he’s a graphic designer, but he always had ambitions of being an artist. But no one ever told him that he could. So he pursued the next best thing, design. And he’s good at it. For as long as I’ve known him, John has been a designer and an illustrator. 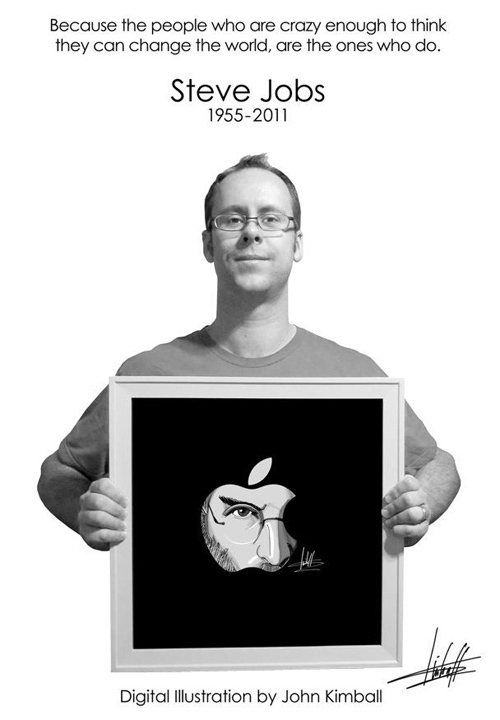 But it wasn’t until he sat down, moved by the news of losing our generation’s Gutenberg, Edison, Picasso, Carnegie, that he drew this tribute to Steve Jobs and something inside of him opened up. 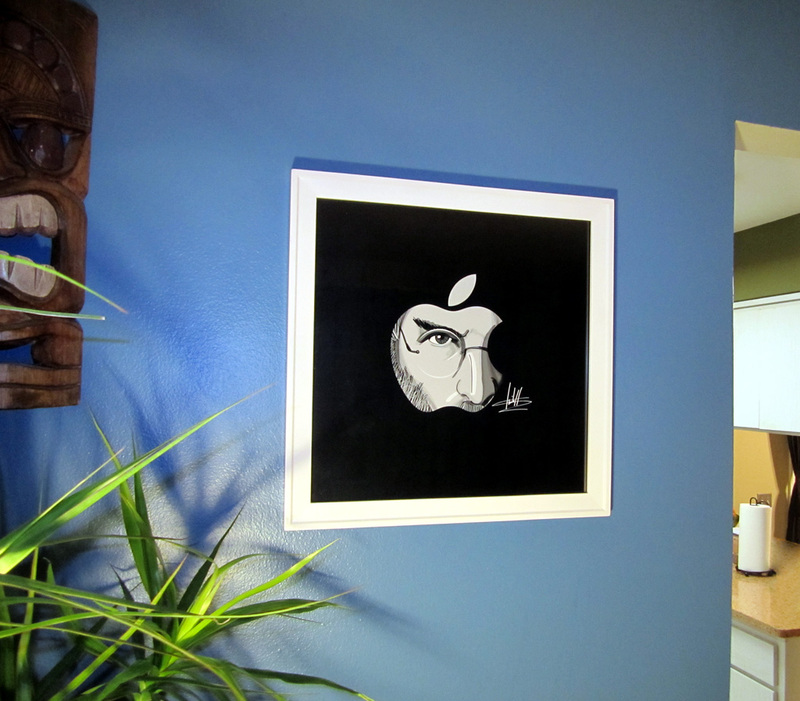 Over the past two months, John has been drawing almost every night and this month, he’s decided to sell a limited number of Steve Jobs’ Tribute Prints to benefit Movember. While pancreatic cancer took one of the most inspiring innovators of our time, John wanted to do something and help raise money to make sure that other men are not taken before their time like Steve Jobs was. Movember is the month formerly known as November and is dedicated to growing moustaches and raising awareness and funds for men’s health issues; specifically cancers affecting men. To show my support for the men in my life, I have signed up as a Mo Sista. Why do I care about men’s health? Support our Movember campaign through a donation – If you would like to and can, please make a tax-deductible donation of $5, $10, or $25 to our Movember campaign. 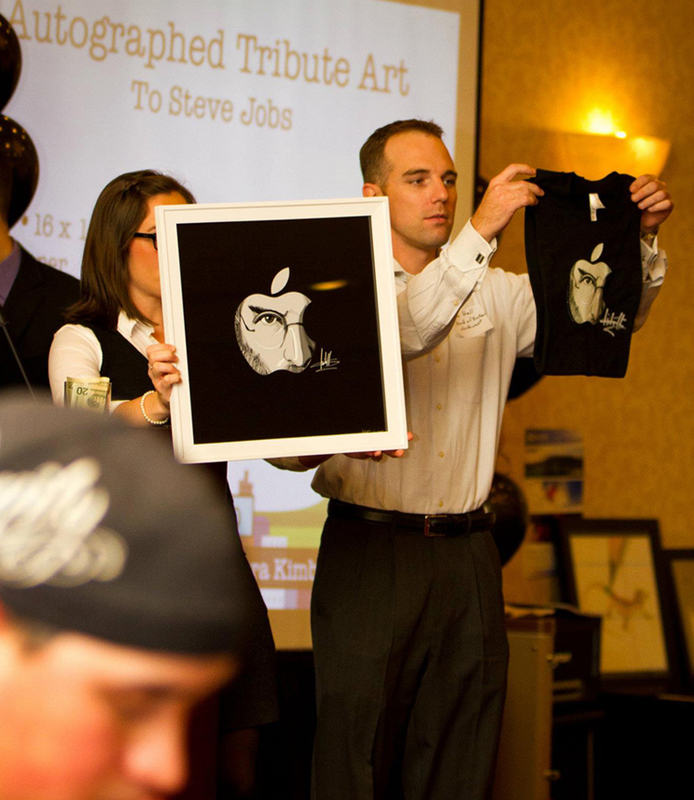 Purchase a limited edition of John’s Steve Jobs Tribute print – You can purchase the print through his etsy store or by contacting me directly. All proceeds of the prints go directly to the Movember campaign and will be mailed out at the end of the month. You can purchase a 12” x 12” print on Luster paper or a 16” by 16” on Canvas. All prints are individually signed and numbered. In case you’re wondering, the print looks amazing in person. We only have one more week to grow and support these Movember moustaches, so please come along for the ride. And John will not be selling this print once Movember ends. Thank you for donating at our campaign and for helping me change the face of men’s health. Go the Mo! I’m a wife and a daughter who has a dad, grandpas, brothers-in-law, uncles, cousins, one adorable nephew, and numerous amazing male friends. I care and love each and every one of them and want to do what I can help change the face of men’s health. If so, you know what to do – donate, buy, or help me spread the word about this campaign. This entry was posted on Monday, November 21st, 2011 at 11:18 pm and is filed under nonprofit. You can follow any responses to this entry through the RSS 2.0 feed. You can leave a response, or trackback from your own site.